Wedding entertainment & production is the first step towards the success of your wedding celebration. Wedding celebrations is our specialty, and we are experienced professionals who are passionate in assisting you plan, organize and execute the perfect wedding day you envisioned. 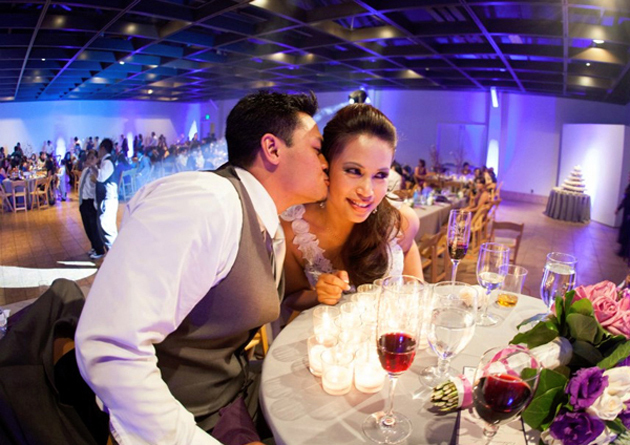 Our DJ’s and event specialists are here to guide you through your big day’s success. Whether you are planning an extravagant wedding, or an intimate affair, we ensure that the entertainment is exactly what you desire. Our wedding process is simple and we make every step to the big day, easy, memorable and exciting! Your wedding is one of the biggest days of your life, let us transform it into unforgettable memories. Click here to view our special wedding day services which make your special day unique and set it apart from the rest! We invite you to browse around our site and read our reviews from past clients. Once you are confident we are the right company for you, please contact us by clicking here or give us a call. Watch one of our featured weddings below! We provided entertainment, videography, design, photo booth and lightscaped the reception!